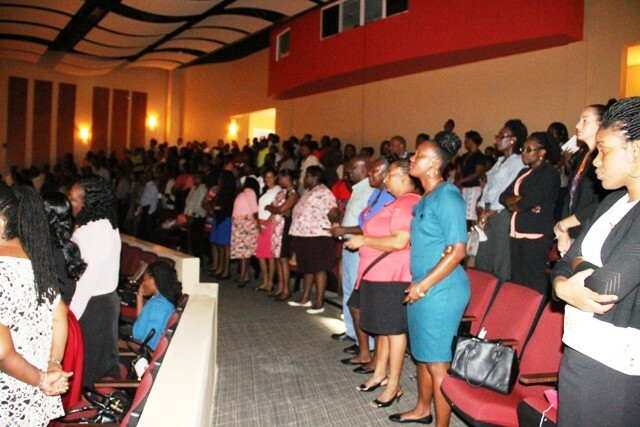 NIA CHARLESTOWN NEVIS (September 01, 2016) — Teachers on Nevis were told they should expect changes across the school system because of the number of spaces to be filled in different schools, due to the number of teachers leaving for study and those returning. “Please understand that with these numbers of spaces to be filled in different schools, there must be and will be changes effected across schools. “If we are to provide quality education, we must look at equity across schools and so please expect that there will be some changes,” she said. The PEO listed a number of teachers who were retiring, pursuing studies locally and internationally and some who completed their studies and were returning to teach. She thanked Mrs. Evelina Claxton for her 40 years of service and Mr. David Grant, both of whom are retiring. Wilkin also congratulated teachers returning from university: Winette Hobson who returned from Midwestern State University with a Bachelor of Science in Interdisciplinary Studies and joined in January and Ariela Wilkinson returning from the University of the West Indies with a Bachelor of Science degree in Biology with Education. “I must single out Deneé Warner. Two years ago, I indicated that Deneé was going to CFBC, the first teacher from Nevis to do the Early Childhood Programme and Deneé has returned to us with her Associates Degree in Early Childhood,” she said. Wilkin extended best wishes to teachers pursuing tertiary education at the CFBC and outside the Federation this year: Latoya Bussue, Kyla Webbe, Sean Joseph and Nekisha Marshall. However, Malinda Liburd is switching her profession from teacher to pursue studies in nursing. Romario Daniel, Nicoyann Blackett, Laurencia Walters, Sherielle Forbes, Tameka Vyphuis, Kadencia Liburd and Evania Thibou are now studying overseas. 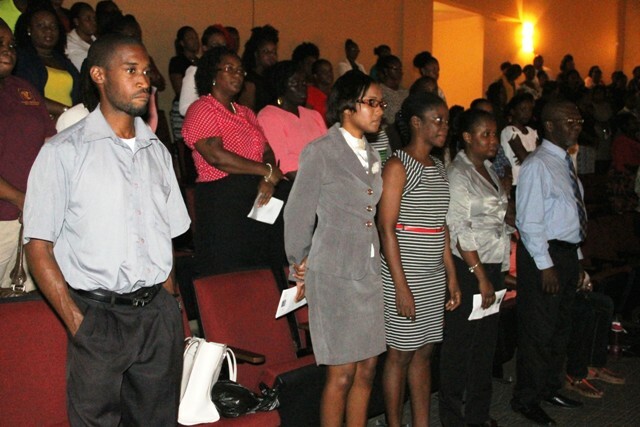 The PEO welcomed the teachers joining the fraternity on Nevis. “We welcome the new teachers in our midst: Orian Stapleton, Gary Liburd, Kelsia Liburd, Neila Jones, Noellissa Swaby and Tamaya Duporte. “We also welcome Ms. Lena Spelling and Tanisha Dalton, not as new teachers—stalwarts and experienced teachers—but new to the public system, we welcome you,” she said. 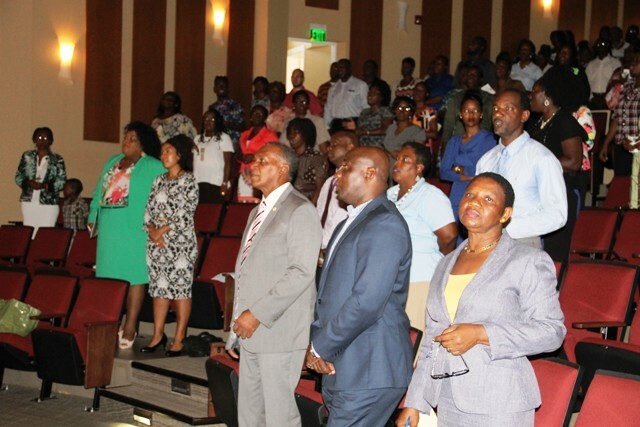 Also present at the ceremony were Premier of Nevis and Minister of Education Hon. Vance Amory, Hon. Alexis Jeffers, Hon. Hazel Brandy-Williams, Permanent Secretary in the Premier’s Ministry Wakely Daniel and Assistant Secretary Kevin Barrett.